I love fish but I’ve realized that I don’t cook it very often because so many of the recipes that I love are so time-consuming. 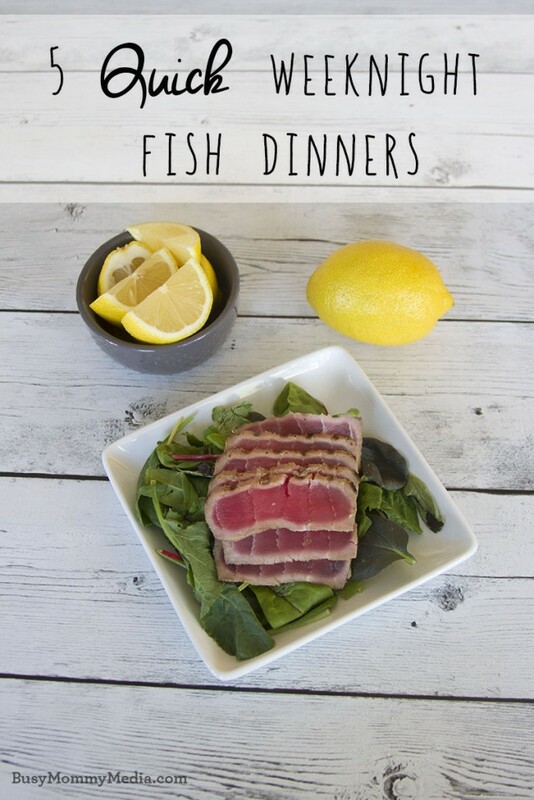 Fish is so good for you though and my kids love it so I wanted to find a way to get it on the table more often. I gathered together some no-fuss fish recipes that you can get on the table fast. These recipes are some of my family’s favorites and they don’t require a lot of prep time or any complicated ingredients. 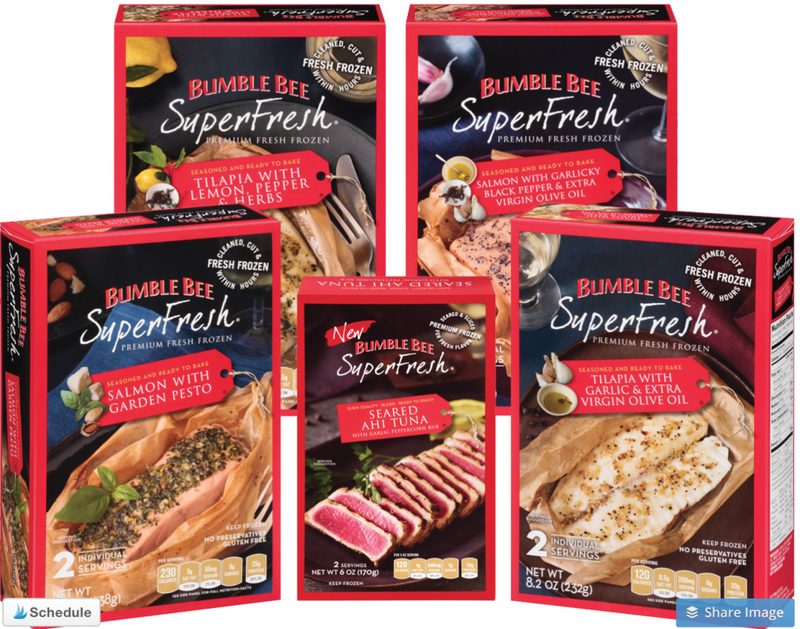 If you want to make things really easy, Bumble Bee SuperFresh® is an easy way to get restaurant quality fish at home. This is a premium line and it is a huge step above all the other frozen fish products I’ve tried and it’s designed to be completely hassle-free. The salmon and tilapia even come with their own parchment paper baking pouch so you can take them from frozen to your dinner table in under 25 minutes! Ginger dressing – I found a great ginger sesame dressing at my grocery store that works great on this. Ahi Tuna is generally something you’d go to a restaurant to enjoy. Bumble Bee’s new SuperFresh® line makes it easy to enjoy at home. Remove the Ahi Tuna from the freezer and remove it from the plastic. Thaw in the fridge for about 3 hours. Wash and prepare your mixed greens (any greens will do here). 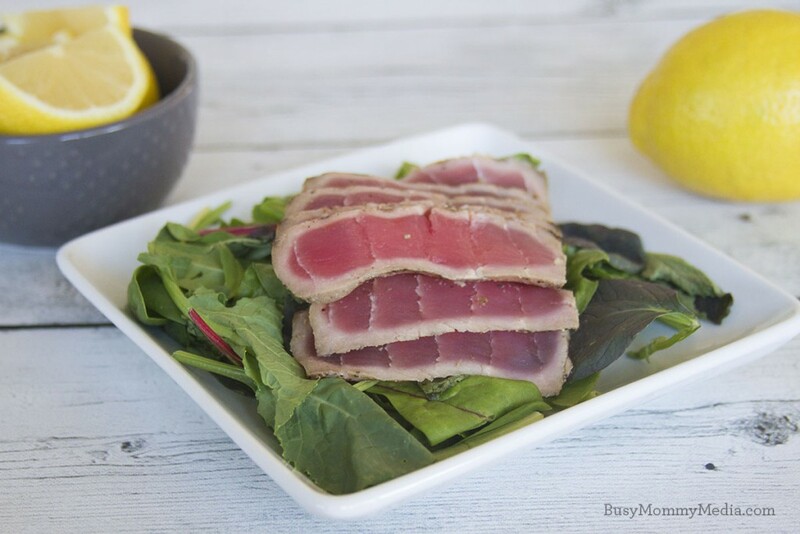 Top your greens with ahi tuna slices and serve with ginger dressing and a few lemon slices. Season your tilapia with salt and pepper and dip each side in flour so that it is lightly coated. Heat your coconut oil in a pan and cook each side of your fish for 3-4 minutes. Remove fish from pan, add butter and almonds, and cook until your almonds are lightly toasted. Top your tilapia with your almond butter and serve. Combine the pesto and mayo. Spread a thick layer on each salmon fillet. Bake at 350° for 15-20 minutes or until fish flakes easily. Season salmon with salt and pepper. Combine the soy sauce and sugar and set aside. Broil the fish for 7-8 minutes or until the fish begins to flake easily. Top the salmon with the sugar/soy sauce mixture and broil for an additional 2-3 minutes. Serve over rice. Preheat oven to 350°. Combine butter, lemon juice, salt and pepper. Dip trout into lemon mixture then add to a hot skillet. Cook for 2 minutes on each side to sear flavor in. Place the skillet in the oven to finish and cook for 7-10 minutes until the fish flakes easily. Finish with fresh lemon juice. 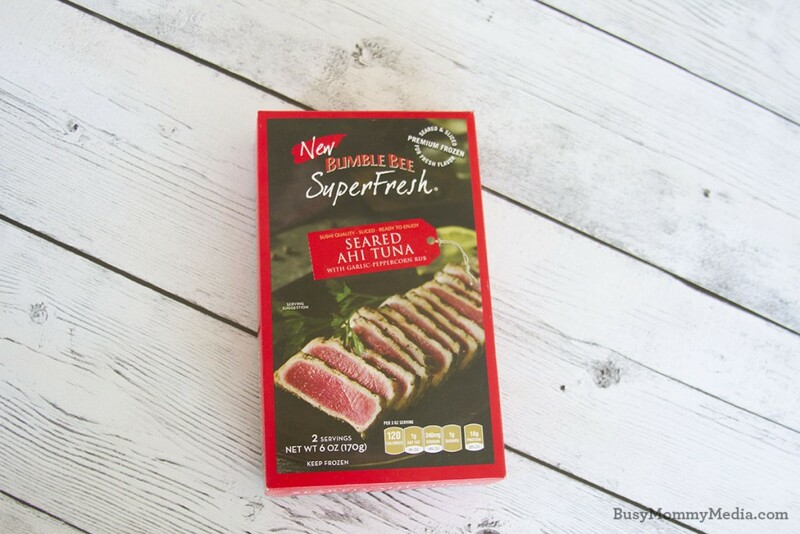 Bumble Bee SuperFresh® Seared Ahi Tuna for more easy fish recipes and a coupon to try their delicous SuperFresh® products for yourself!